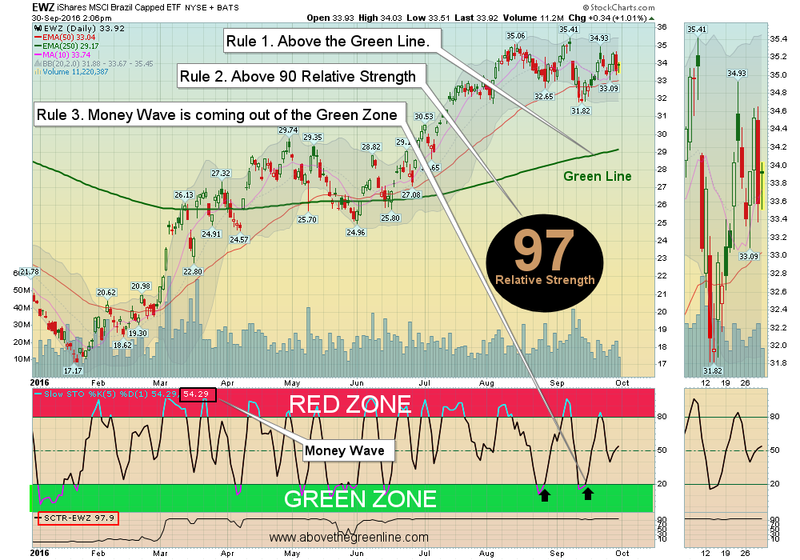 Above the Green Line © is a Newsletter System of rotating into Investments that generally have more Buyers than Sellers (Above the Green Line, which is Above the 250 day exponential moving average), and the highest Relative Strength (> 90 Relative Strength). 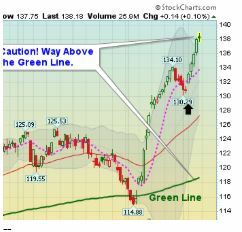 This System is designed to Buy High, and Sell Higher, where we BUY the DIPS, but Momentum Investing requires discipline. The Discipline to EXIT your Investment positions that are no longer the LEADERS, and do not follow the RULES. Many are taught to Buy Low and Sell High, which can work well, but sometimes you must wait years for results. We are using computers to identify the top 10% of Investments that have the highest flow of money into them. Then we email you when to Buy these, on the Money Wave pull-backs. We also provide spreadsheets for Current Watchlist Open Positions and Completed Trades.